Delicious pancakes made with Greensweet liquid stevia. Cut or break the banana into pieces, this is absolutely not neat but make sure the pieces are not too big. Prepare the banana with a fork. Put two eggs in a cup. Beat the eggs so that the yolks and the protein are mixed. 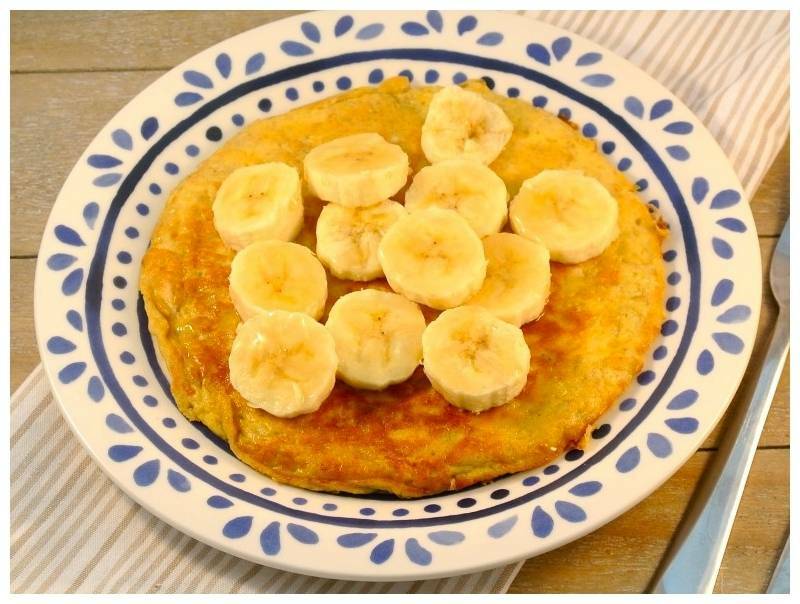 Put the beaten eggs (and some drops of Greensweet-stevia Cocos or Vanilla) with the mashed banana and mix well. You will see some chunks of banana and that is good. Put some butter in the pan. Let the butter melt well before you start and spread it slightly through the pan. Put a little of the batter in the pan but not too much. Turn the pancake over when the back gets golden brown spots. Do not turn the heat too high otherwise the reversal is not particularly easy, then the pancake falls apart. You can also replace the Greensweet drops with the Greensweet Sweet or Erythritol. And Greensweet Icing can be sprinkled carefully over your pancake. Mmmm!